Carrots in Korean become part of our kitchen and has become an essential ingredient in many salads. Before our hostess had not dared at home to prepare this delicious snack and bought it ready made on the market. Now many do it yourself and share recipes with others. With the methods of slicing carrots for this popular dish you will find in this manual. • device for cutting or sharp kitchen knife and cutting Board. Before cutting carrots for the salad in Korean roots thoroughly wash and clean. Cut off the tails and the base. Carrots are ready for shredding. Best of all, if you already have a special device for slicing carrots in Korean. To do this, simply place it in the food bowl where you will prepare a snack. Carrots, place the side against the grater under the most acute angle, so that when cutting out the strips to 5-8 cm in length. Do not try to grate before the end of each carrot. So you get straws of different lengths and the aesthetic appearance of the meals will be a little spoiled. Use leftover carrots for cooking other dishes. If you haven't purchased a shredder for slicing carrots into strips, nothing. Carrots can be cut manually. Try to choose the roots of those cultivars that have the shape close to cylindrical. These include carrots, Nantes, vitamin and others. Sharp knife for cutting vegetables, cut each carrot lengthwise into plates with a thickness of 2-3 mm. If the fruits of the carrot is long enough, cut the plate down, but not shorter than 5 cm Now add a few plates of the same size together and slice them along the long side of the strips not thicker than 2-3 mm. you should Have strips of almost the same length and square section. Now add chopped carrots ready to cook, loved by all Russians of Korean food. It is not necessary to prepare Korean carrot, rubbed it on an ordinary grater. With this method of chopping vegetables lose their spicy hrustenko. In recent years, a host of kitchen devices for slicing carrots into strips. This is a variety of float with removable knives, and similar attachments can be equipped with modern food processors. Carrots – a universal product. It is included as a main ingredient in many dishes, it can be consumed in absolutely any form from raw to steamed. In addition, carrots – a great decoration in salads and aspic. But for every carrot dishes properly and beautifully cut. You can, of course, to acquire such useful in the household unit as a special universal grater for carrots or regular slicer. But the real cooks prefer to show their skill by slicing the carrots manually the most bizarre ways. So, take a very sharp knife with a thin stiff blade. Wash and peel the carrots. Cutting straws is one of the most common ways aesthetic chopping carrots. Cut the carrots lengthwise into fairly thin sheets. Then cut the carrot pile lined plate diagonally, retreating 2-3 mm. take the time that straw is smooth and neat. The result of chopping will be a long, thin straws, perfect for salad and soup. Pilaf carrots require larger cuts. In no case do not RUB it on the grater, so it will lose its juiciness from the first minutes of cooking. 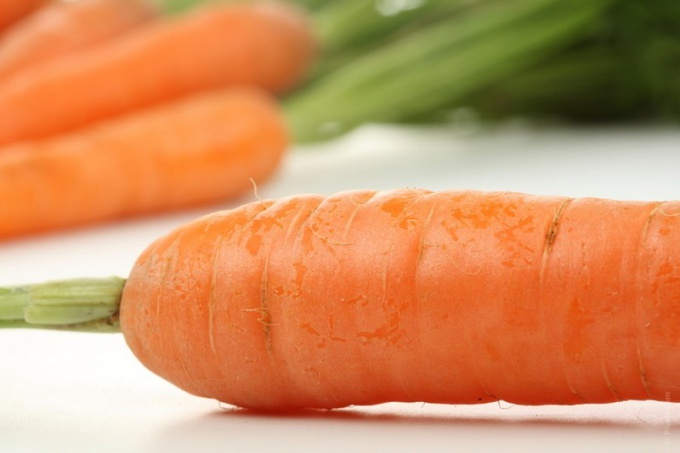 Suitable semiring carrots with a thickness of 3 mm, and large short straws also from 3-4 mm in thickness. Cutting follows the same principle as the small straw. First, divide the carrots lengthwise and then into strips and then the strips. Salad "Carrots in Korean" shredder needs to be very long. The transverse strips may be a bit short, so the method of cutting is slightly different. First, slice the vegetable lengthwise into thin plates, then a stack of plates along - not diagonally and not across - cut smooth not small and not large julienne 2-3 mm. After carrots are chopped all the "salad" rules, you can begin to prepare a Korean refueling". Sometimes you need to chop the carrots into sticks, for example, the Ferghana pilau. This is done in the following way: cut carrots in half lengthwise. Again cut in half lengthwise. Then cut in half crosswise several times. Get a neat little wedges. Of boiled carrots, you can cut beautiful flowers. Carrots cut into longitudinal plates with a thickness of 3 mm. From the album cut out an isosceles triangle. On one side of the triangle make a cut in the form of teeth. Lay the four triangular teeth of the workpiece outside. Before you carrot flower. To cut a carrot star, along with carrots in length penetrate deep grooves, and then cut into plates of 3 mm. 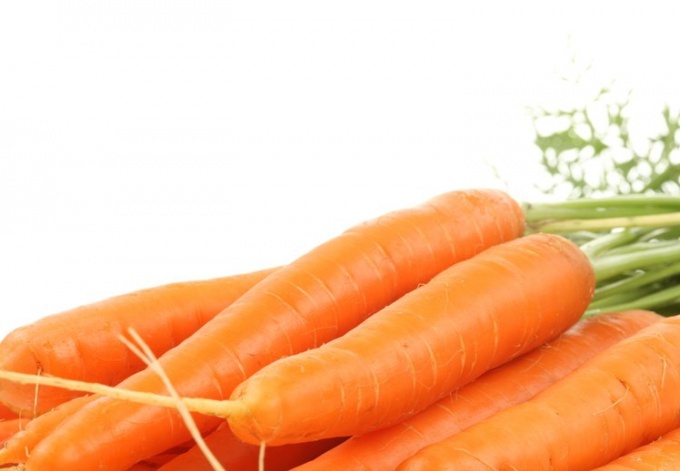 Beautiful bright carrot is very useful vegetable! 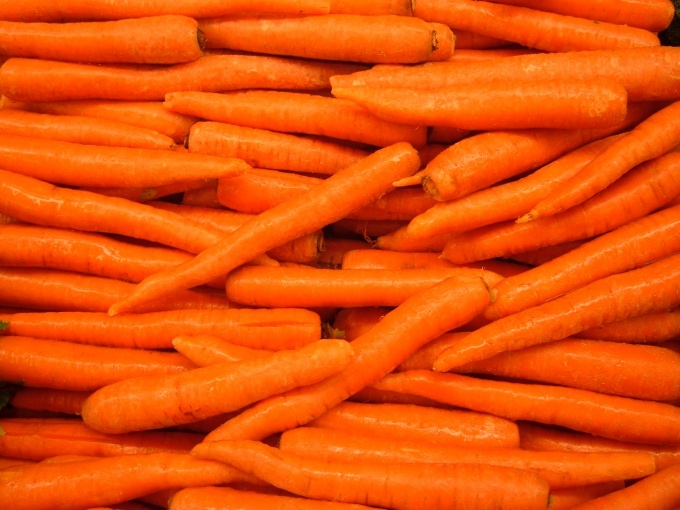 It contains a storehouse of vitamins, minerals, and essential human carotene. Carrots can be cooked in different ways, add to soups and meals. But the maximum of useful properties are preserved in raw carrots. Serve raw carrots can be whole, but she is much more beautiful in salads or just as a snack, beautiful when sliced into strips. Take raw carrots and a knife with a stiff blade is solid. Check that the knife was acutely sharpened. First, you need to clean the carrots. 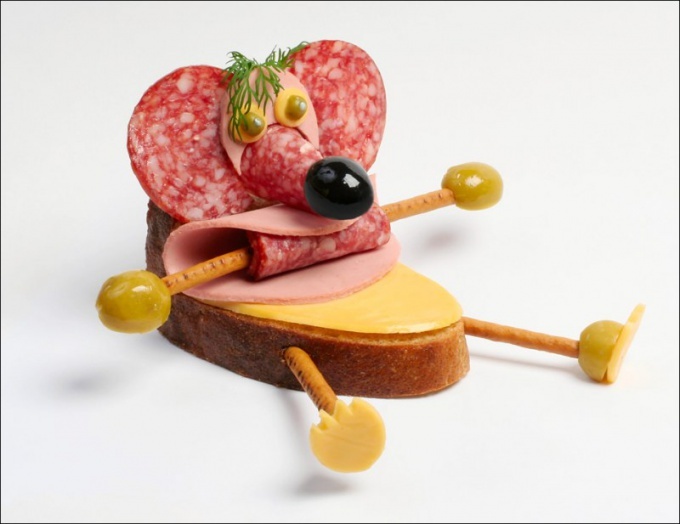 You can do this with a peeler or with the same knife. As you prefer. Now cut the carrots into thinner plates. Cut the carrots lengthways. If the knife is well sharpened, then you do not require much effort. Plate the carrots should be in thickness no more than 3mm. Next, put the plates one on another and cut a length of thin strips. Carrot, cut into long straws ready. Also you can cut a stack of plates of carrots slightly diagonal. Choose the most convenient way for you. If the salad you need to cut the carrots in fine julienne, then it can be done in the following way. Peel the carrots and cut into strips in the length, and breadth, putting the knife on the diagonal. After cutting in front of you there should be the stack of flat oval plates. Put the plates on one another to get not a very high pile, and cut them diagonally into thin strips. Do this with all records. Finely sliced strips of carrot ready. Can be served slightly salted, and you can make a delicious salad. Really love your children with carrots cut in small strips, the following very useful and tasty dessert. Slice 2-3 medium carrots in small strips, lightly salt, season with lemon juice. Add half a Cup of crushed walnuts, peanuts or almonds to choose from and 2-3 tablespoons of honey. Put the dessert in a pretty bowl, garnish with pieces of candy or dried fruit. Carrots, cut into long strips, you can make the snack for the holiday table. Slice 3-4 carrots the first of the methods mentioned above. Crush 4-5 cloves of garlic, add to the carrots, season the salad to taste with mayonnaise or sour cream, lightly season with salt, garnish and serve. Salad carrot sticks a lot, the above are just two of many. I wish you new, delicious, healthy discoveries, and Bon appetit. Knife for slicing carrots must be very sharp with a fixed blade. Carrots used for cooking various dishes – soups, casseroles, stews, side dishes, salads. Due to the bright color, carrots also serves as a decoration of the dish. To maintain the shape and taste to carrots, there are several ways of cutting. This method of cutting for the preparation of the first dishes in which carrots pre-fried in vegetable oil with onions and other vegetables, and then put into the dish during the cooking process. First, cut carrot, a few slices then fold together and cut into strips. Sliced carrot looks nice in meat broths, vegetable dishes, vegetable and meat casseroles that use large meats included in the dish ingredients. To cut the carrots this way, you will need patience and a sharp thin knife. First, cut the carrots in circles. Then in each circle on the perimeter of the cut out little triangles. Sliced in such an original way the carrots will look beautiful in jars of pickled cucumbers and tomatoes, as well as decorating children's dishes. If you add boiled carrots to salads such as salad or Olivier, it is better to slice it in small cubes, and remaining ingredients. To do this, first slice the carrots on circles, then multiple circles connect together and cut into cubes. Use sliced carrots when cooking meat or vegetable rolls. To do this, cut the carrots lengthways. Then each half cut into strips of desired thickness. 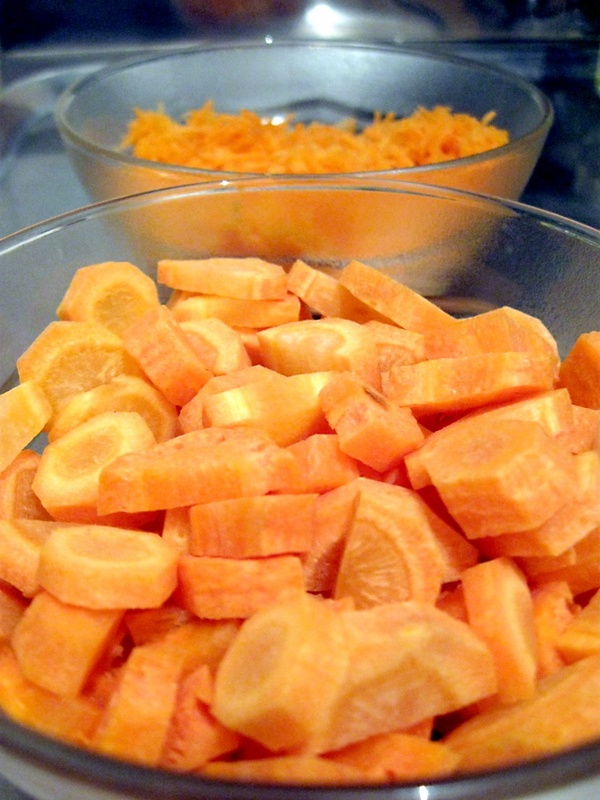 When cooking a separate side dish of carrots or as a component of vegetable garnish, slice the carrots in large pieces. This method is ideal for roasting carrots or cooking it for a couple. For this carrots cut crosswise into several pieces, then each piece cut lengthwise into 2 or 4 parts. If you need to cut the carrots into strips in a large amount, you can use a grater. To obtain an even and long straws, RUB the carrots from top to bottom.